But that’s the start of the mysteries, mysteries that mean Dylan may never escape. I first read about this book when someone else reviewed it on their blog and it sounded fantastic – but it wasn’t available at B&N. I left a comment on the blog, hoping the author would soon offer it on the B&N site, but he very graciously sent me a copy – and I’m so glad he did. 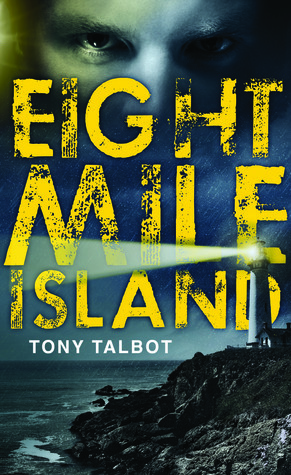 I’m officially a fan of Tony Talbot and will be looking for his other books. Dylan was the epitome of a moody, angsty teenager – and I should know since I have two of my own. He was rude and surly and thought of no one but himself. But he was also a genius with an IQ of 150. As the book progressed, I particularly liked seeing that Dylan began to display traits of vulnerability and loyalty along with his intelligence. The antagonists, Dr. Montgomery and Mr. Glaze, were appropriately creepy and controlling and their secretiveness combined with the question of what was really happening on the island added to the level of suspense in the story. The author does an excellent job with descriptive writing and I felt as if I were standing in the scenes along with Dylan. This book was a fast-paced, quick read full of action and suspense with a plot twist I definitely didn’t see coming – love it when that happens. Check out this book – you won’t be disappointed.